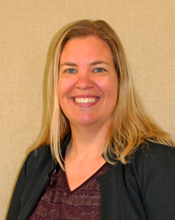 Cheyann is serving Three Harbors Council as the District Director in the Root River District. She came to Three Harbors from the Denver Area Council and she began her career in the Blackhawk Area Council in Rockford IL. She has experience leading larger council events such as the College of Commissioner Science and Council Recognition Dinner. Cheyann also has experience and success in growing membership and fundraising in multiple districts. Cheyann graduated Cornell College in Iowa with a Bachelor of Arts in Biology and Environmental Studies. Before her Scouting career, she worked in AmeriCorps. Cheyanne enjoys the outdoors and spending time with her family especially her nieces and nephews. She is excited to be back in the Midwest.